Cedar trees have always existed as cedars. Likewise, oak trees have always existed as oaks, plane trees as plane trees and beech trees as beeches. None is descended from any other species, and none has ever turned into any other. 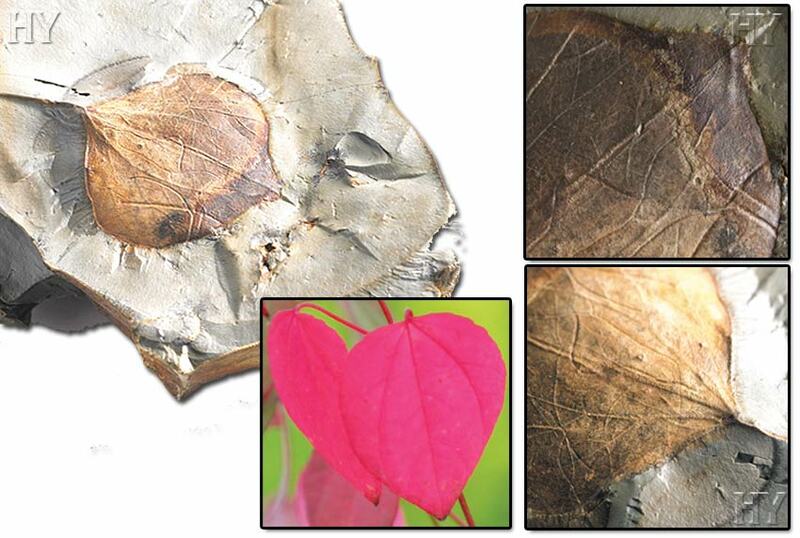 The 50-million-year-old fossil white cedar leaf in the picture confirms this fact. 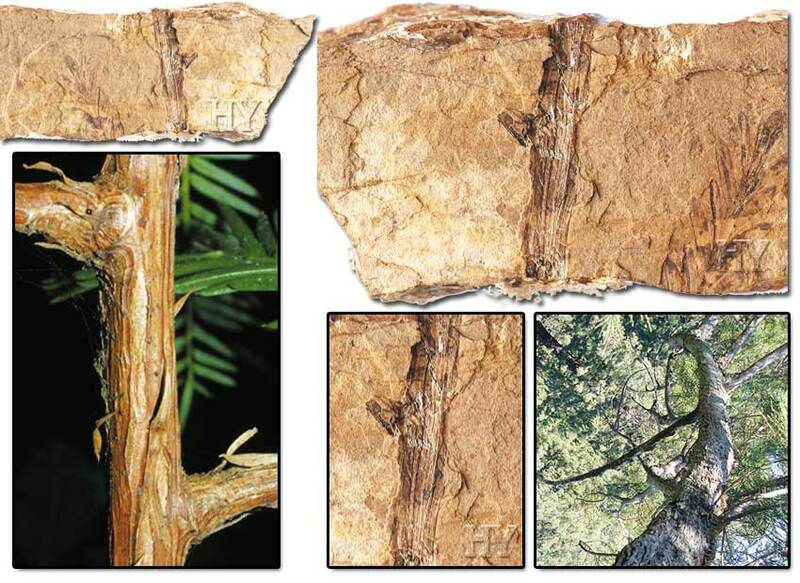 Ribes that lived some 23 million years in the past were identical to specimens living today. 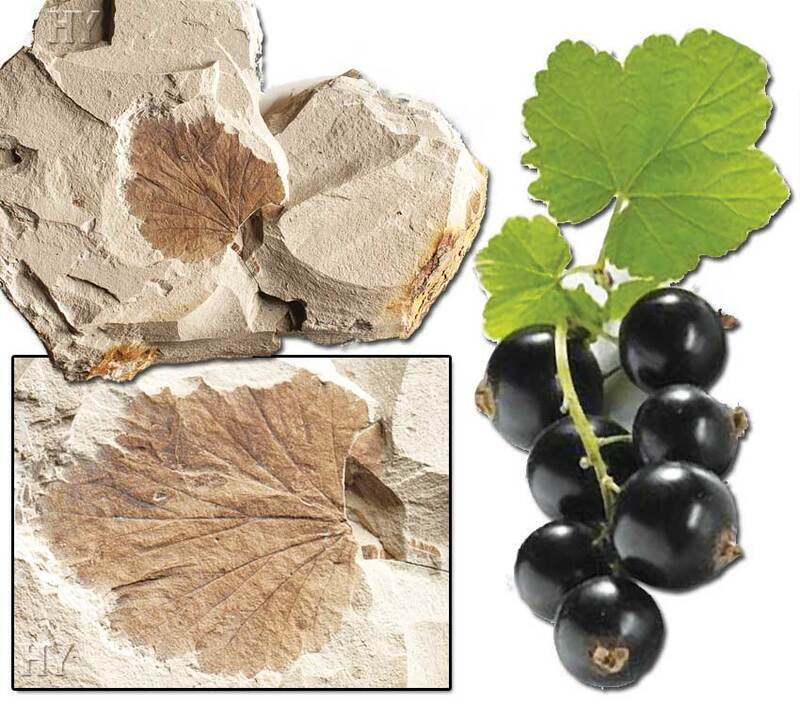 Glorious currants looked the same 23 million years ago as they do now. 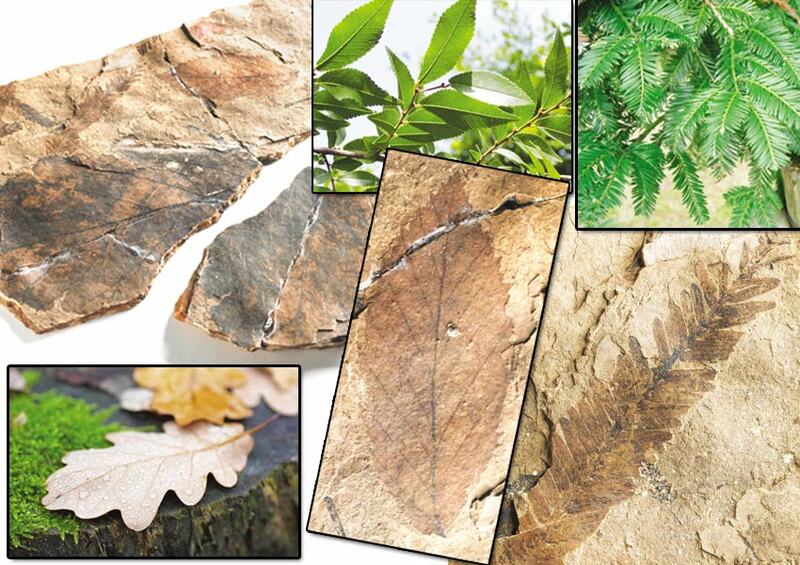 As can clearly be seen in fossils, these organisms’ leaves, fruits, seeds and roots have never changed. They are just one of the millions of obstacles standing in the way of the theory of evolution. Fossil research over the last 150 years has shown that the hopes of Darwin and the evolutionists who followed him were all in vain, and not a single transitional form fossil has ever been found. Today there are some 350 million fossils in thousands of museums and collections. All these fossils belong to species with their own unique characteristics, and that are completely distinct from one another. None of the half-fish, half-amphibian, or half-dinosaur, half-bird, or half-monkey, half-human and similar life forms that evolutionists sought with great expectations have ever been encountered. 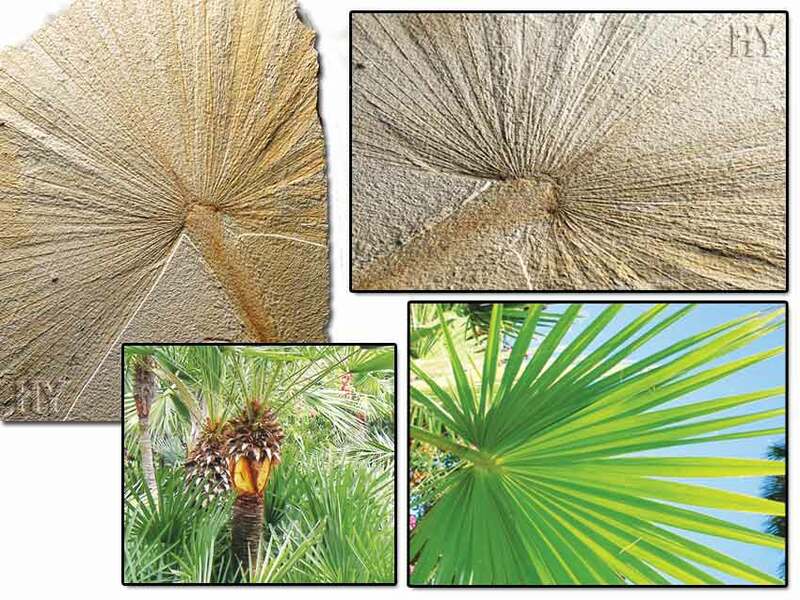 All the fossils unearthed, such as the palm leaf fossil in the picture, are findings that refute evolution. All plants are equipped with a distribution network so they can absorb the substances they need from the soil. That network transmits the minerals and water obtained from the soil in the shortest possible time to the centers where they are needed, in exactly the appropriate quantities. According to scientists’ findings, plants use more than one method of managing that difficult task. The transportation of water and nutrients in plants takes place by means of the structures with very different properties. These are the transport and distribution channels, and this immaculate structure also existed fully formed in plants many millions of years ago. It is Almighty Allah Who creates plants. Allah knows how to create all things. Anyone looking without prejudice at the evidence revealed by science will see and agree that evolution never happened. 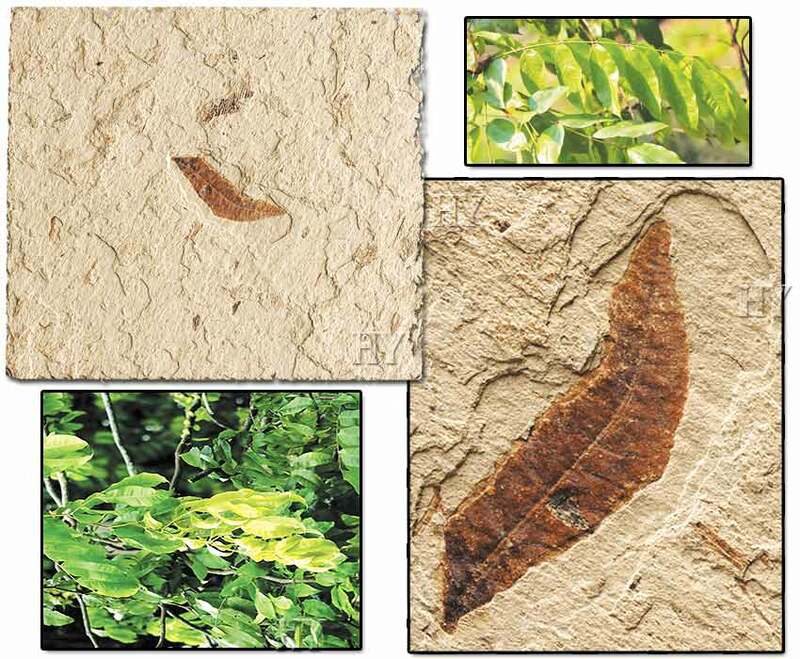 Hundreds of millions of fossils head the list of that evidence, including the 50-million-year-old fossil rock elm leaf in the picture. People have today begun experiencing the shock of having been misled by Darwinists. Every day, they are becoming more aware of how they have been part of a worldwide hoax. The whole world will soon see the true face of the pseudo-religion that is Darwinism, and people will be amazed at how they were taken in by it. Once they have been freed from that lie, their minds and consciences that Darwinism had polluted will be cleansed, and they will realize that everything is the product of Allah’s glorious creation. Because the soil freezes in winter, tree roots soon become unable to absorb water from it. In addition, little rain falls in winter; most precipitation falls in the form of snow. Therefore, trees need to be able to resist the lack of water that occurs in the winter months. That resistance comes from their leaves. For example, the leaves of many coniferous trees are hard and leathery, and do not fall off. 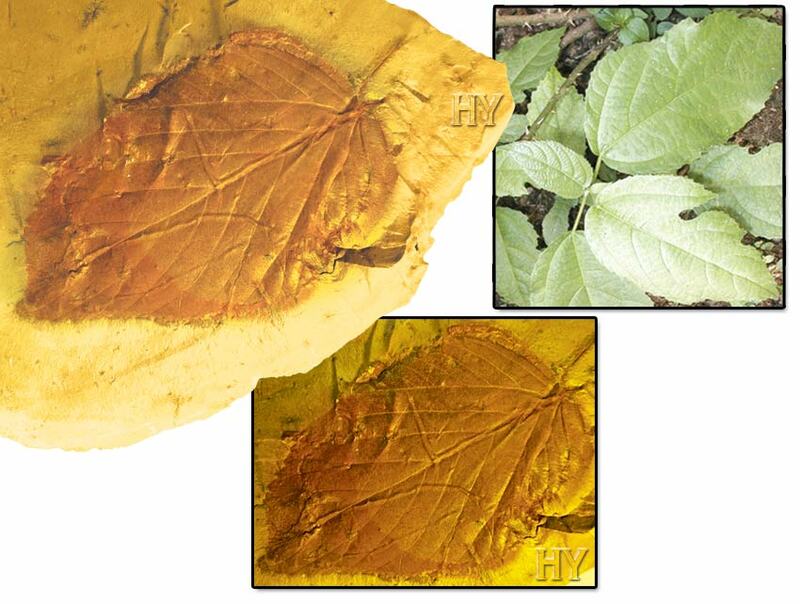 The waxy coating on the leaves reduces water loss through evaporation, and this resistance prevents the leaves from falling off or withering due to water pressure. Moreover, coniferous leaves are generally needle-shaped and able to withstand freezing cold. These trees then regain energy when new leaves open up every spring. Plants did not acquire these features gradually. These amazing details were not bestowed on them by chance. Like all living things, Allah created plants in a single moment, with all the features they possess. According to Darwin, life began with the chance emergence of a single cell, which gradually developed to give rise to the living world. The most important scientific finding showing that this hypothesis is not true is the fossil record. 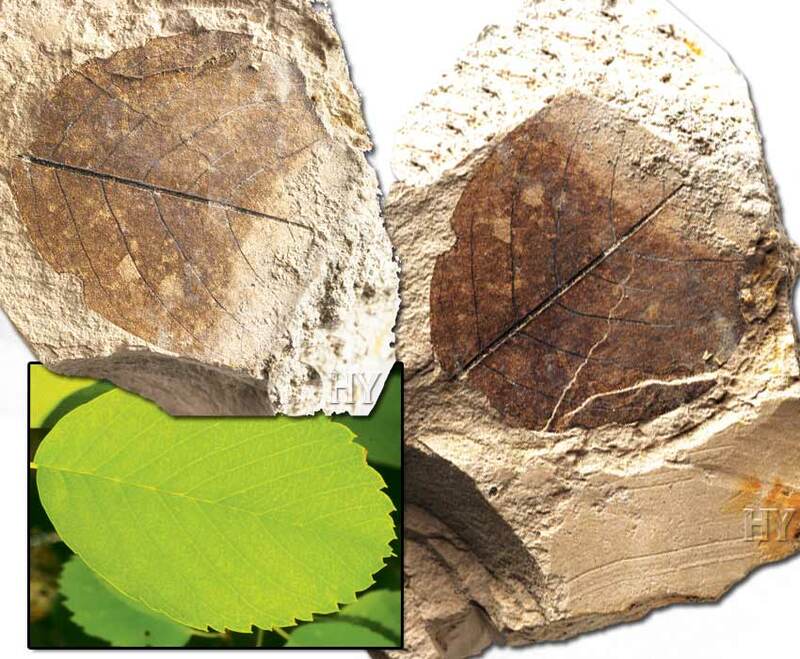 Hundreds of millions of fossils, like the approximately 23-million-year-old fossil leaf in the picture, have revealed that Darwin's theory is untrue. Thus, living things appeared not through evolution, but through Allah’s creation. 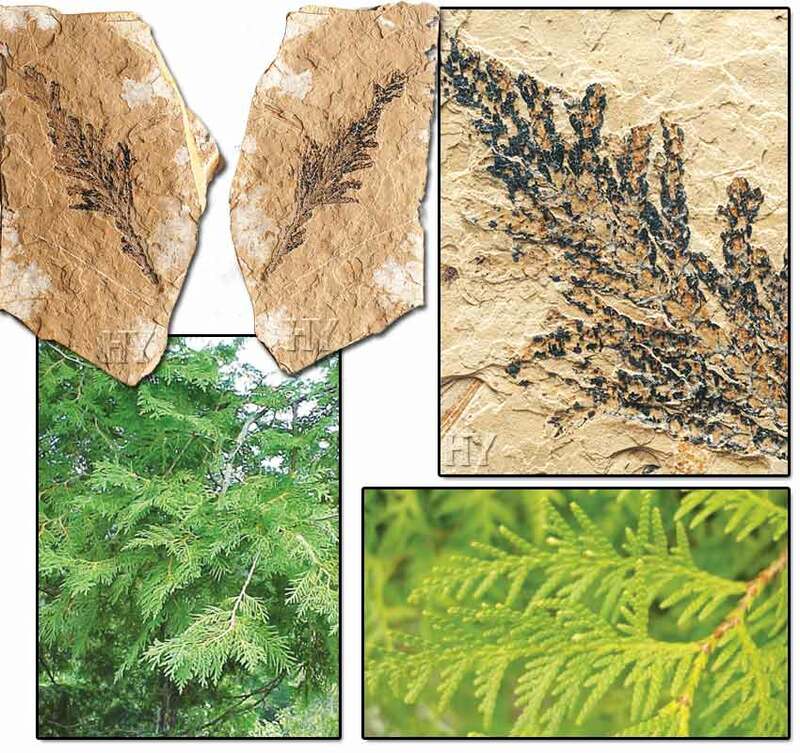 As can be seen from all these plant fossils, there is no difference in shape or structure between today's plants and plants that lived millions of years ago. Poplar is the joint name given to plants constituting the species Populus from the willow family (Salicaceae). These plants have never changed since the moment they were first created. 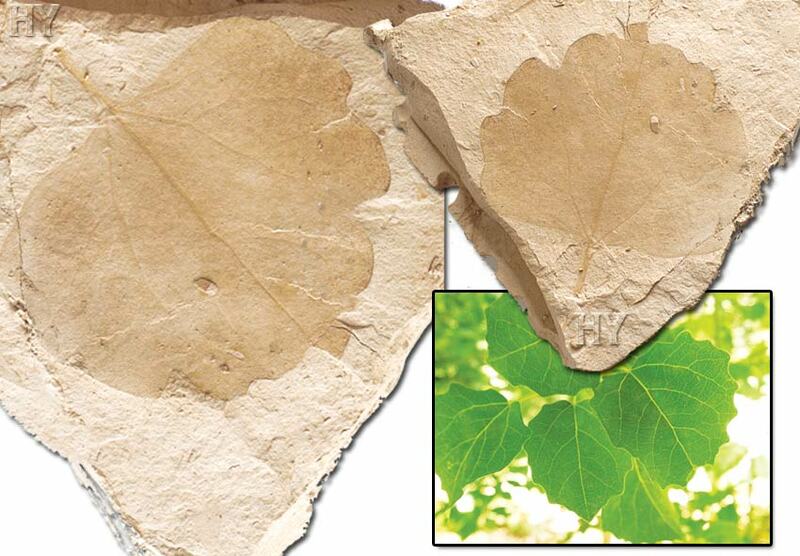 The 58-million-year-old poplar leaf in the picture is identical to those of poplar trees living today. The aspen (Populus tremula) is a member of the willow (Salicaceae) family that can reach up to 25 meters (82 feet) in height. 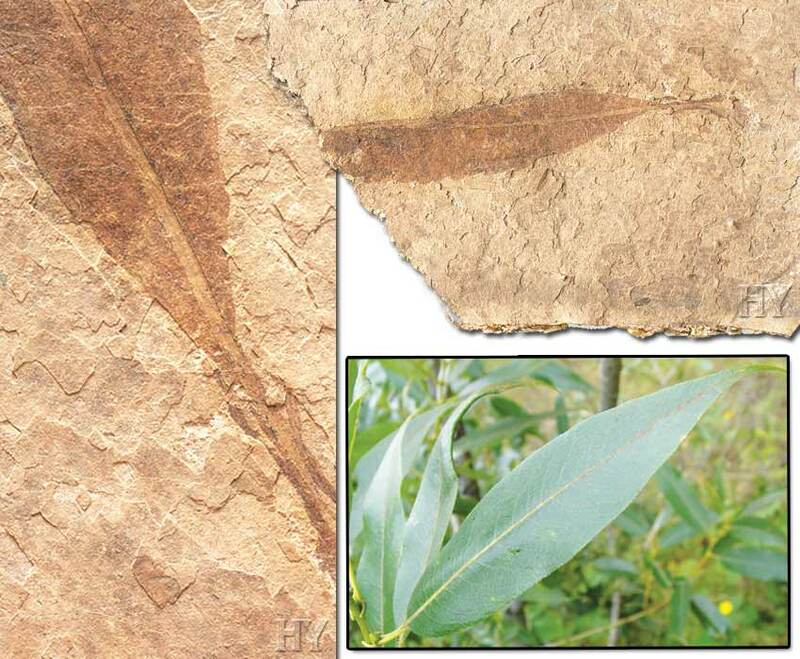 These plants are found in many parts of the world, and it is clear from the fossil in the picture that they have never changed over 50 million years. Trees that have not altered in the slightest over tens of millions of years are concrete proof that evolution does not exist. Allah created aspen trees as He does all living things. Alder is the name given to trees from the species Alnus, members of the birch (Betulaceae) family. Various subspecies grow in Turkey. 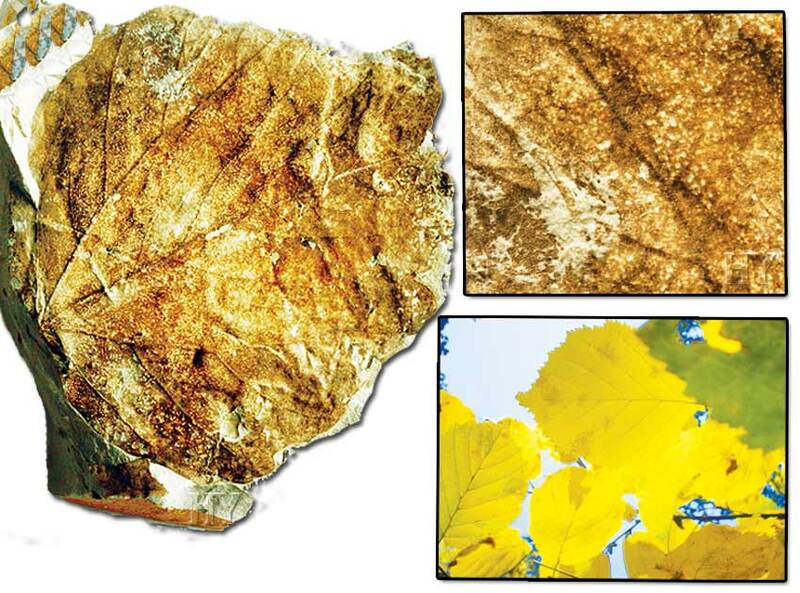 This 50-million-year-old fossil alder leaf, found in British Columbia, Canada, is concrete evidence that the gradual development claimed by evolutionists never happened. Allah created alders with the same appearance and features as they have today. The beech, a deciduous forest tree, constitutes the species Fagus from the Fagaceae family. Darwinists claim that life forms are descended from a common ancestor and differentiated from one another through gradual changes over the course of time. But paleontology refutes this with 350 million pieces of concrete evidence. 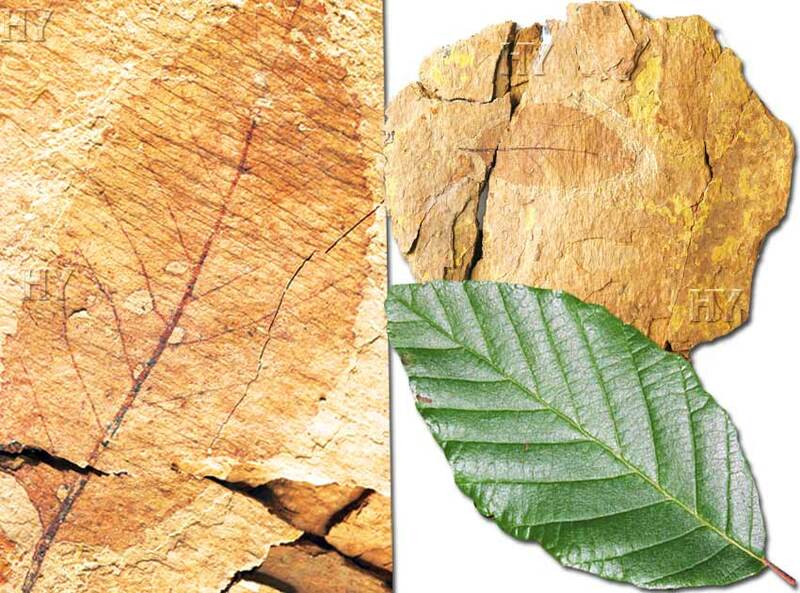 The 50-million-year-old fossil beech tree leaf in the picture is one of the pieces of evidence that refute evolution. Like all living things, the serviceberry tree has never changed over millions of years. 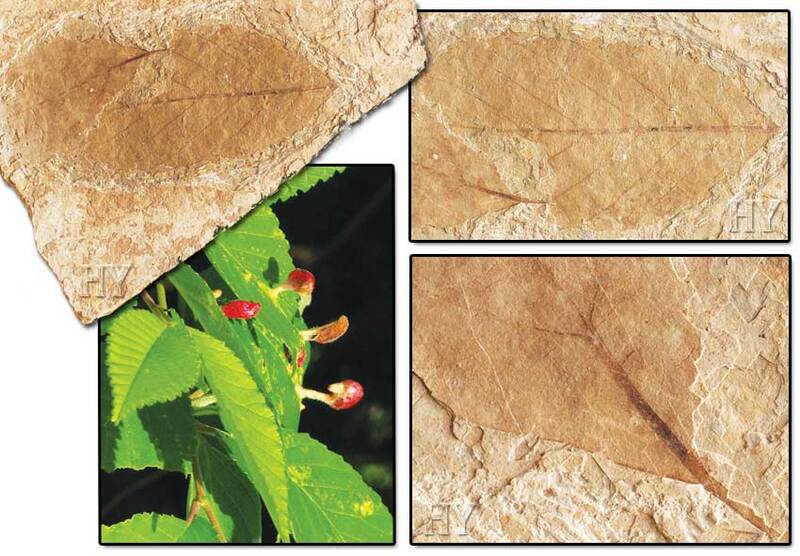 The 50-million-year-old fossil serviceberry leaf in the picture is identical to specimens living today. And this is one of the proofs that evolution never took place and that Almighty Allah creates all living things. 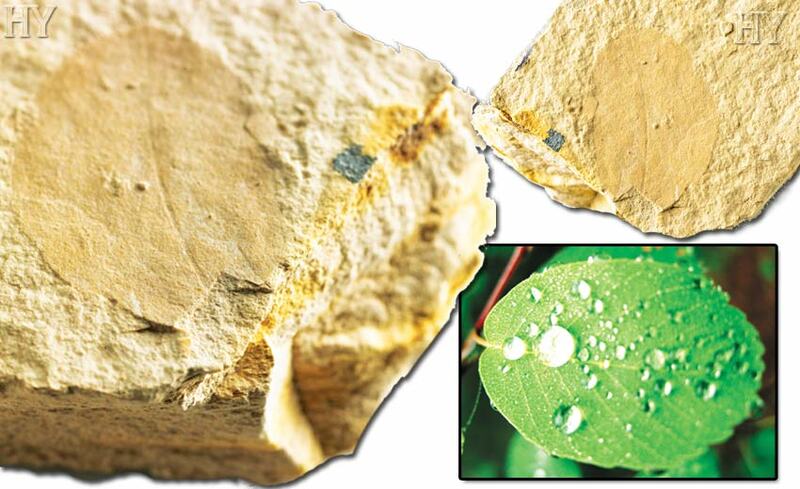 Fossils of life forms that lived millions of years ago have been preserved in the fossil record. But it is striking that not a single fossil belonging to a fictitious “transitional form” of the kind alleged by evolutionists has ever been found. 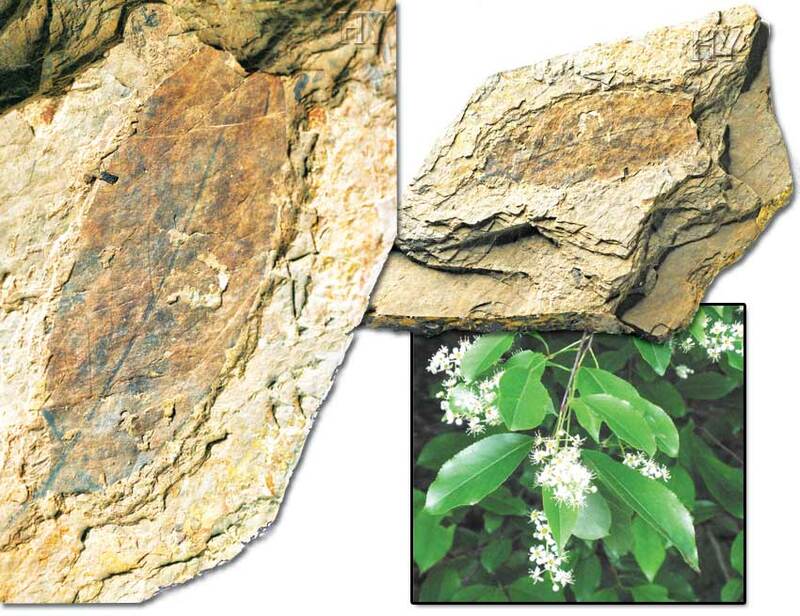 Fossils exist from many species, from ants to bacteria and from birds to flowering plants. They are all proof that evolution never happened. 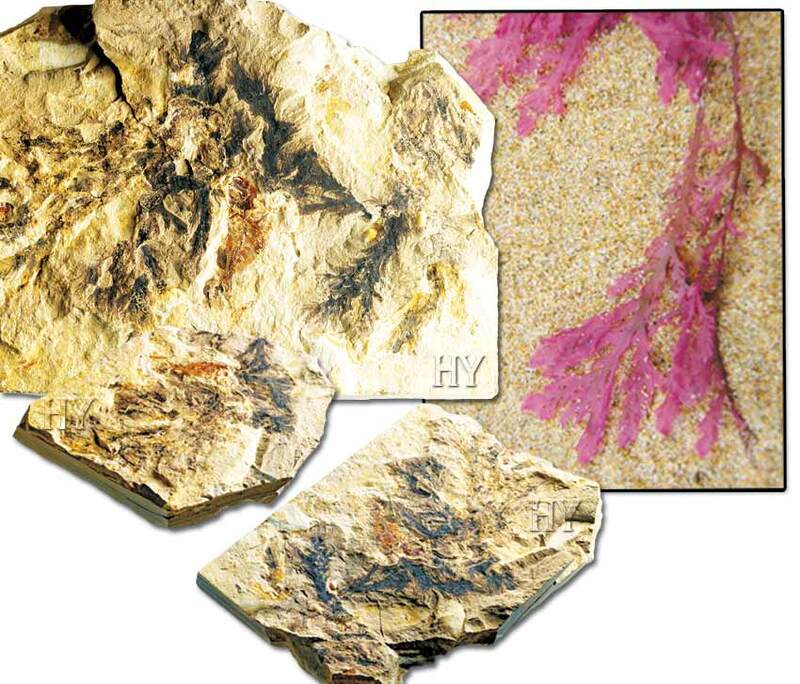 The 95-million-year-old fossil seaweed in the picture is one such. All plants, from the smallest grasses to the tallest trees, have to distribute the minerals and water they absorb from the soil through their roots to everywhere, right to the tips of their leaves. This is of the greatest importance to plants because water and minerals are what plants most need. But how are the water and mineral salts hidden in the depths of the soil taken up by the plant? In addition, how do plants transmit these substances they absorb from the soil through their roots to all the different regions in their bodies? What techniques do they use to perform these difficult processes? These processes are carried out today with various hydrophore (pump and pipeline) systems. The transport and distribution processes in plants are also performed by a kind of hydrophore system. The presence of such a system in plants was discovered some 200 years ago, but plants have had this important feature for millions of years. Evolutionists have no rational explanation for this. Plants have known how to turn sunlight into food through photosynthesis ever since the moment they were first created. Fruit trees know from the moment of their first creation how to make matchless and delicious fruits using only dry soil, water and air. Trees many meters tall know, from the moment of their first creation, how to send the water they obtain from the soil up as far as the tips of their leaves, operating against the force of gravity. It is Almighty Allah Who creates plants so matchlessly and gives them all their features. There is a wonderful order and co-operation among the living things on Earth. It is impossible for all these things to arise as the work of chance, as evolutionists maintain, and the very idea is illogical and unscientific. 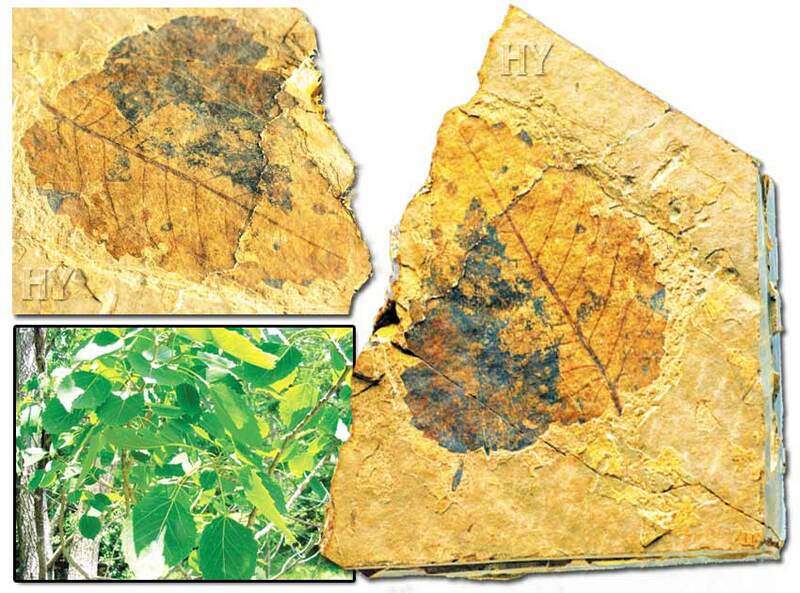 The 50-million-year-old fossil wild cherry leaf in the picture is proof that this plant had the same features then as it does now. 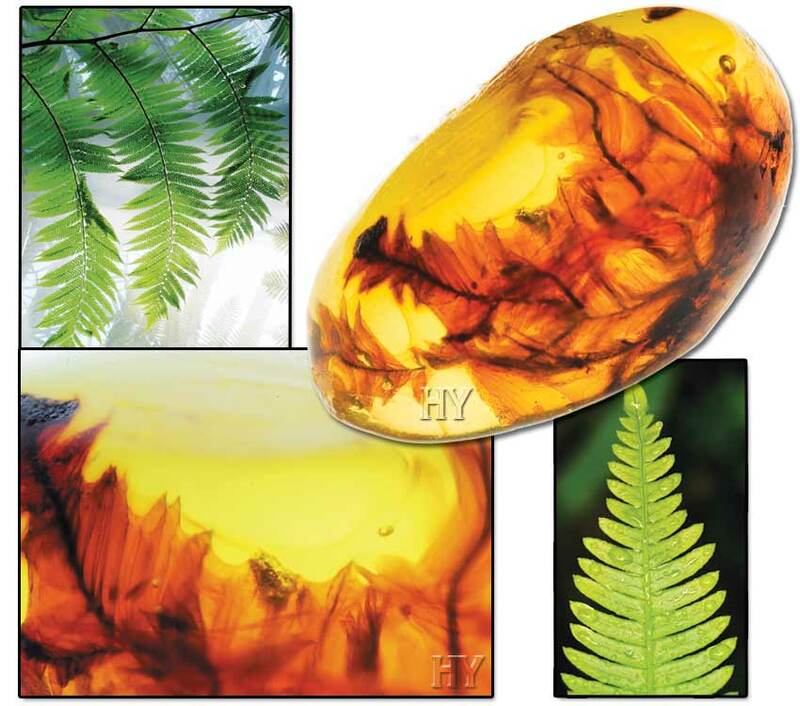 One environment in which fossils are best preserved is amber. When amber that flows from trees hardens over a plant or other living thing, it is as if a photograph of that moment is taken that will last for many millions of years. The distinguishing feature of amber fossils is that all the organism’s soft tissues are also preserved. The soft tissues of amber-preserved life forms, that can be seen right down to the finest detail, are proof that soft tissues have never changed over millions of years. 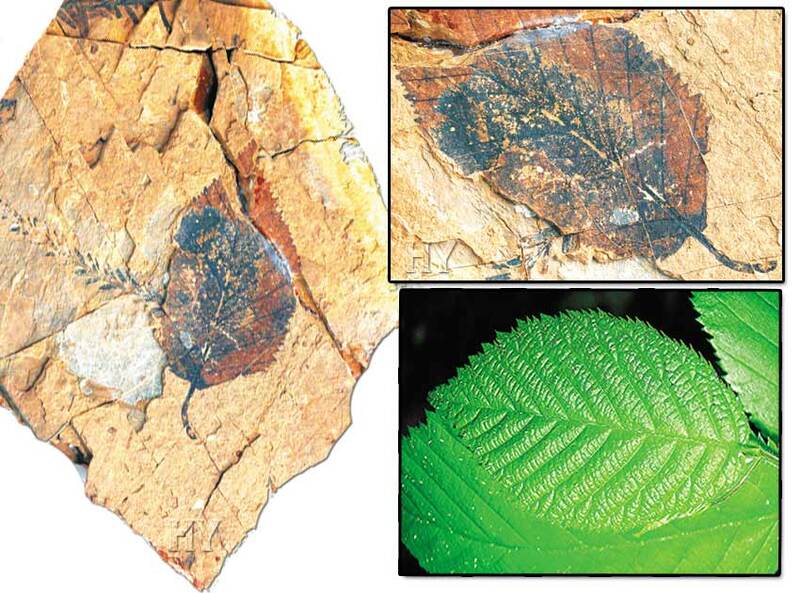 There is no difference between this 25-million-year-old fossil fern and ferns living today. Evolution never happened. 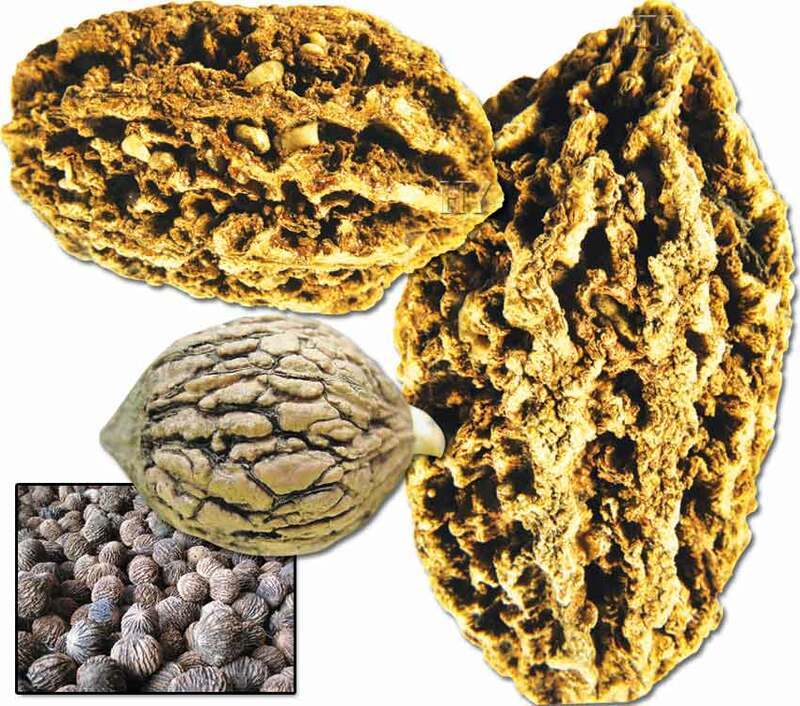 There are different types of walnut tree growing almost everywhere in the world. The fossil walnuts you see here have never changed over millions of years, and have remained exactly the same since the moment they were first created. Evolutionists would like the fossil record to confirm their claims that life forms gradually evolved from one another. But even though 99% of the fossil record has today been unearthed, they have not one piece of fossil evidence to support their claims of evolution. 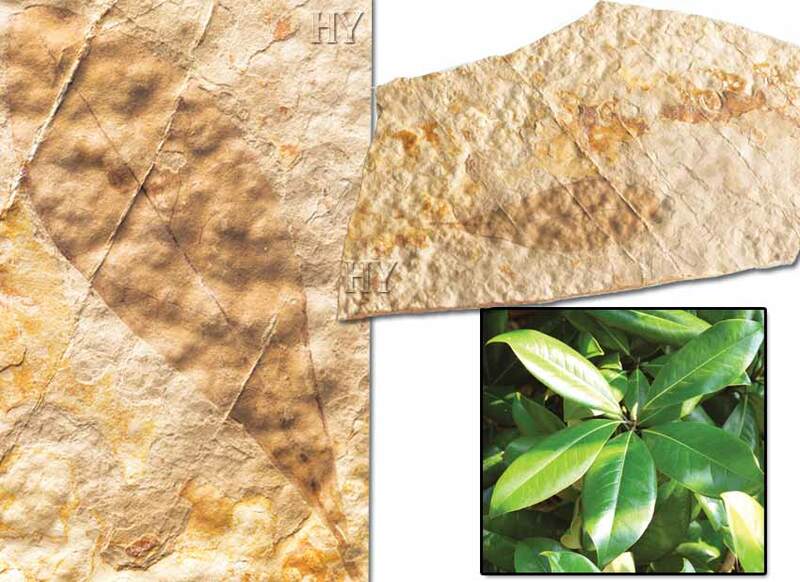 The 58-million-year-old fossil ficus leaf in the picture is one of the proofs of the fact that evolution never happened.